Surreal scenery outside Sonoita, Arizona. As an East Coaster, I didn’t see a proper American desert until I first traveled to Arizona in 2010. Immediately, I became obsessed with this state and all its extreme natural beauty. With few expectations, I also dove deep into the wine scene, and found some dynamic producers making delicious wines. Many of the wines I enjoyed most hailed from the Southeast of Arizona, the Cochise County area, which abuts Mexico and New Mexico. 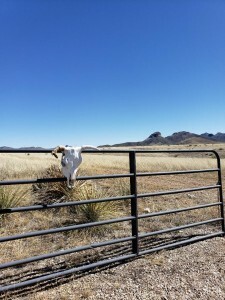 The state’s only American Viticultural Areas are located here, Sonoita and Willcox. 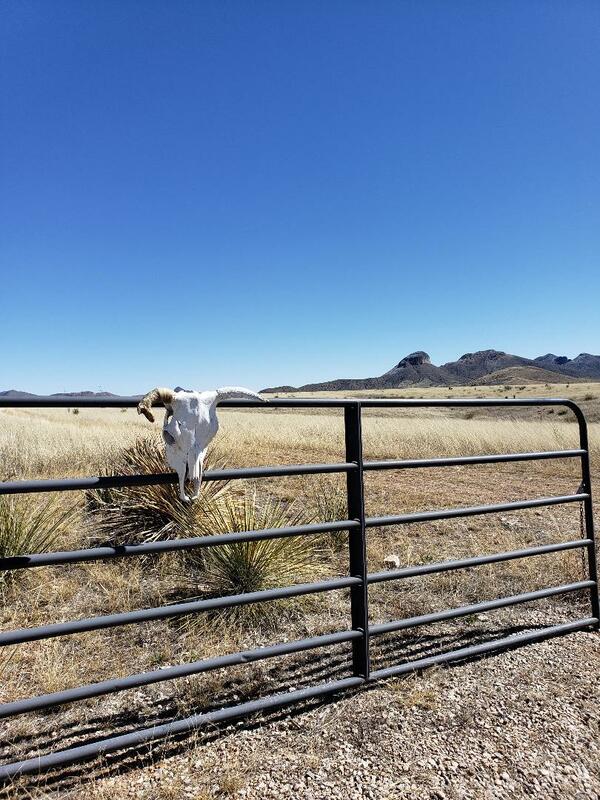 This is also where the modern Arizona wine industry began, when soil scientist Dr. Gordon Dutt founded Sonoita Vineyards in 1983 after an experimental vineyard showed promise. I recently visited the region for the first time and encountered a beautiful land of high desert plains, rugged mountains, wide open space, and exciting wines. Yes, Arizona is hot and dry. But the diversity in microclimates, soil types, winegrapes, and winemakers tells a much more complex story. Geologic maps of Arizona are dizzying, and the area has an abundance of rocky, sandy soils, limestone, clay, giving winegrowers many great options to work with. 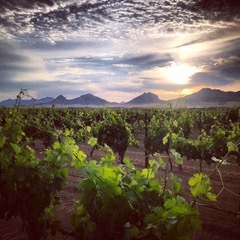 Most of the vineyards in Southeast Arizona are planted around 4,300-5,000 feet in elevation. This leads to serious temperature swings, allowing grapes to ripen in the sun and heat, and maintain acidity as the nighttime temperatures drop. During my visit to Sonoita in February, I woke up to 18 degrees Fahrenheit after driving through snow-covered mountains, their peaks sometimes hidden above the clouds. The day after I left, six inches of snow fell, which goes to show how variable and extreme conditions can be. 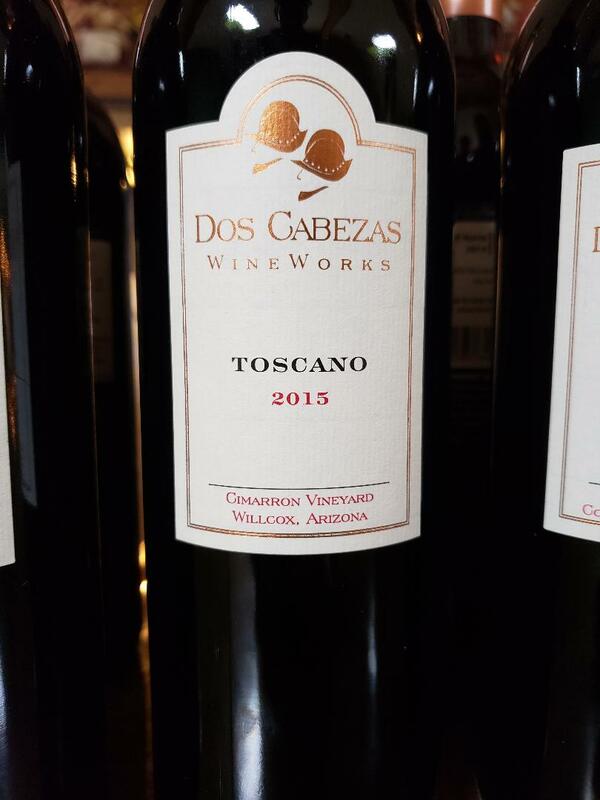 To start off my visit, I met Todd Bostock, winemaker at Dos Cabezas, a producer I’ve grown to respect. We met on a cold, sunny day in Sonoita, and I tasted through his wines and chatted about what he’s up to these days at his winery. And he’s up to a lot of awesome stuff. The late Arizona winegrower Al Buhl started Dos Cabezas in 1995. Todd, who started home winemaking early before studying with UC Davis’ extension program, took a winemaking job at Dos Cabezas in 2002. The Bostock family took control over the project in 2006. Todd farms 37 acres in Willcox’s Cimarron Vineyard, which sit at 4,300 feet. This fascinating vineyard is home to seven white grape varieties (from Albarino to Viognier) and 17 red grapes (from Aglianico to Vranec). The 15-acre Pronghorn vineyard, in Sonoita, sits at 4,800 feet and is home to ten different grape varieties. As such, Dos Cabezas is all about the blends. There’s a lot of vintage variation in this part of the country, and lots of weather difficulties, including early and late frosts, hail, so having access to a wide array of grapes gives Todd freedom to tweak the makeup of his wines each vintage. You can tell a lot about a wine nerd by what empty bottles they keep around on shelves or cabinets. 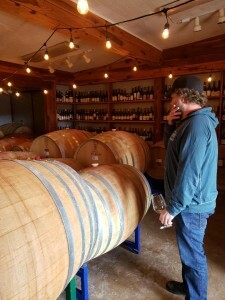 In Todd’s barrel room, I saw a diverse selection and epic bottles, but it was the Chateauneuf wines (from several of my favorite producers) that stood out. And that Chateauneuf ethos of blending all sorts of different grapes comes through in Todd’s wines. Todd Bostock in the Dos Cabezas barrel room. Like many winemakers I’ve met over the years, Todd seems driven to experiment. For example, he makes a Ramato-style, skin-fermented Pinot Grigio. I tasted a Madeira-style fortified desert wine, which gets the whole treatment of oxygen and blistering Arizona summer heat. Todd is also working on a solera-style sparkling wine, which so far includes wine from three vintages. It’s a quirky blend of Tempranillo, Grenache and Riesling, and the barrel sample he poured me was delightfully bright, zesty, floral, with sea salt and chalky notes. The finished wine should be something special. 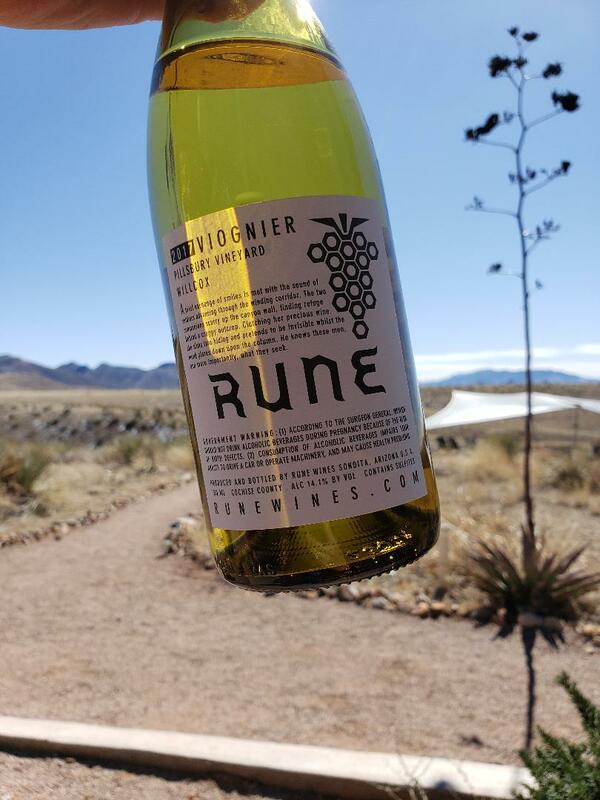 To get a handle on the heights that varietal wines can achieve in Southeast Arizona, look no further than Rune wines. Rune founder James Callahan embodies the DIY spirit that attracted me to Arizona and its wines. With the goal of making due with what he had, James built his Sonoita winery and tasting room by hand, laying the concrete himself. He stores his wines in temperature-controlled trucking containers, which he ordered off Craig’s List. His winery is off the grid, fully solar-powered, and rustic, but it is home to some pristine and beautiful wines. James worked harvests in Walla Walla, Washington and Wairarapa, New Zealand, before landing a job at the Sonoma Pinot powerhouse Kosta-Browne. 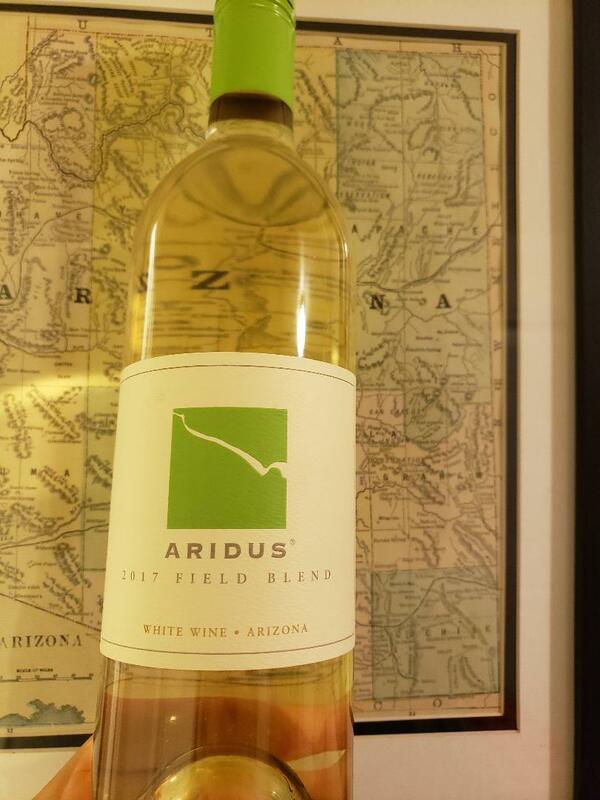 A native of Arizona, he was excited to come home for a winemaking job with Willcox-based Aridus. He then struck off on his own with Rune in 2013, and he works as a consulting winemaker for other producers as well. James sources his a lot of his fruit from Pillsbury Vineyard in the Willcox region, which he calls, “truly a petri dish of wine industry growth.” He also recently planted a vineyard near his winery in Sonoita. In the winery, James uses native yeasts to craft small lot varietal wines from Rhone grapes. I hadn’t tasted a single Rune wine before my trip, but I was blown away by the quality of these wines. If you’re skeptical that Roussanne and Viognier wines from Arizona can be fresh, bright and balanced — I was — may I present these wines. 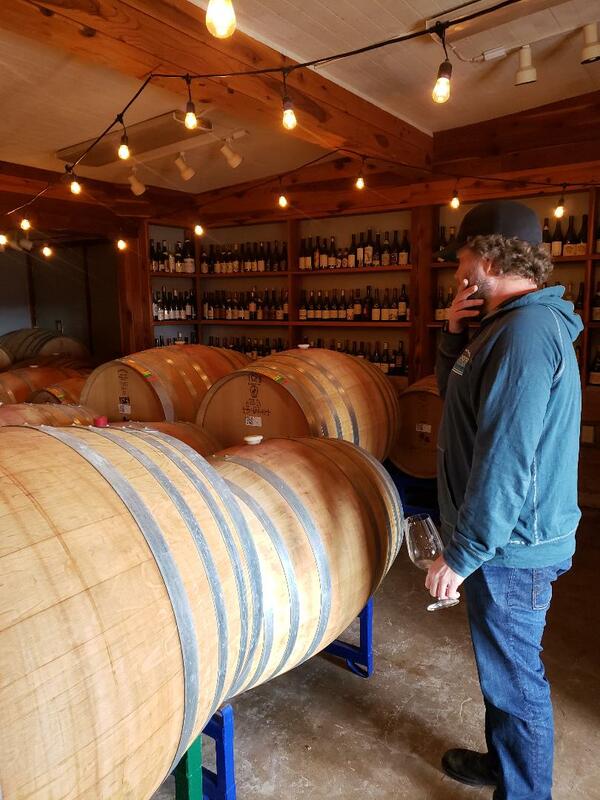 Unfortunately, I was unable to meet up with well-known Arizona vintner Kent Callaghan of Elgin-based Callaghan Vineyards during my trip, whose wines I’ve tasted and enjoyed in the past. This producer dates back to 1990, during what must’ve been a really gutsy time to plant a vineyard in Southeast Arizona. 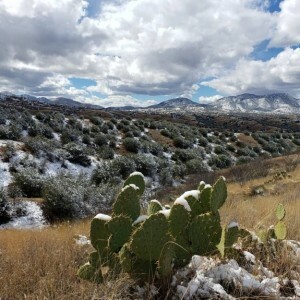 Right after planting his Buena Vista Vineyard in 1990, Arizona experienced a tremendous heatwave that led to the closure of the Phoenix airport for a few days, and the death of many a young vine. But, since then, Callaghan has been producing some lovely wines based on classic Mediterranean grapes from France and Spain. I would be remiss to leave these wines out of this report, so Kent sent me a case to taste, including some library vintages. Lastly, I’ve included some wines from Aridus in this report as well. Located in Willcox, this producer has been getting some attention lately, and they’ve even opened a tasting room in bustling Old Tow Scottsdale. It’s worth a visit if you’re in that area for a while. I’ve included a lengthy list of tasting notes from my trip below. The Dos Cabezas and Rune wines were tasted with the winemakers, while I tasted the Callaghan and Aridus wines sighted, at home. Most of the wines are available directly from the producers, or a handful of select wine shops in Arizona. Since these wines are made in small amounts, finding them outside of the state can be difficult. Another reason why a trip is a good idea. The entrance to Rune wines in Sonoita.